The Pikeur Mandita Hoody is a stylish mid layer featuring contrast detailing and stud applications. 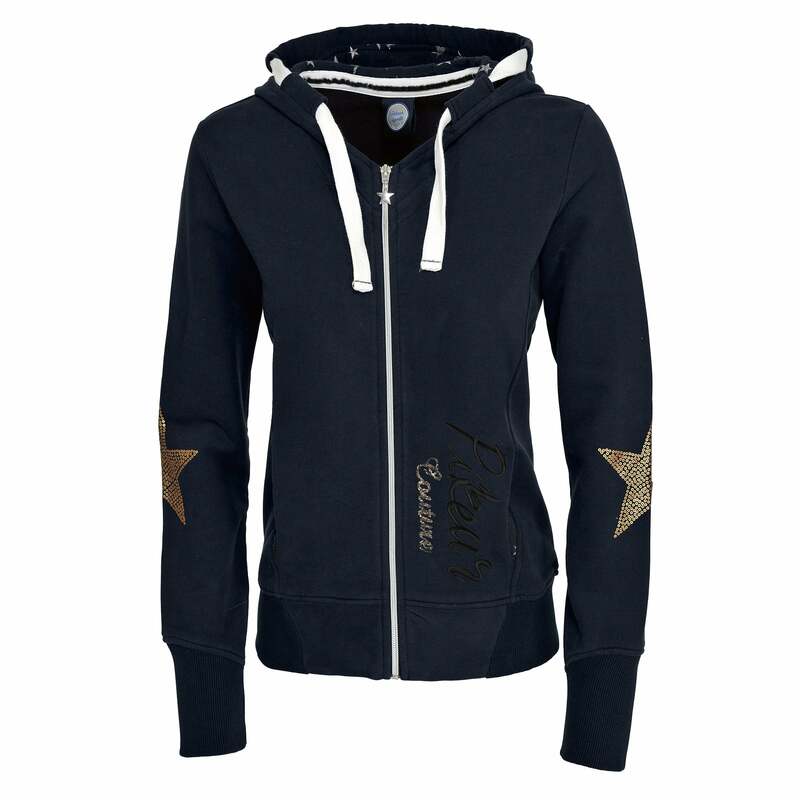 The hood and pockets are lined with fun star fabric, with the elbows also featuring a star in gold effect. Finished off with a full front zip, chunky drawstrings and Pikeur stud detailing alongside the zip.